I think we can all guess where this came from. And no, the answer isn’t a sound studio where the government faked the moon landing. 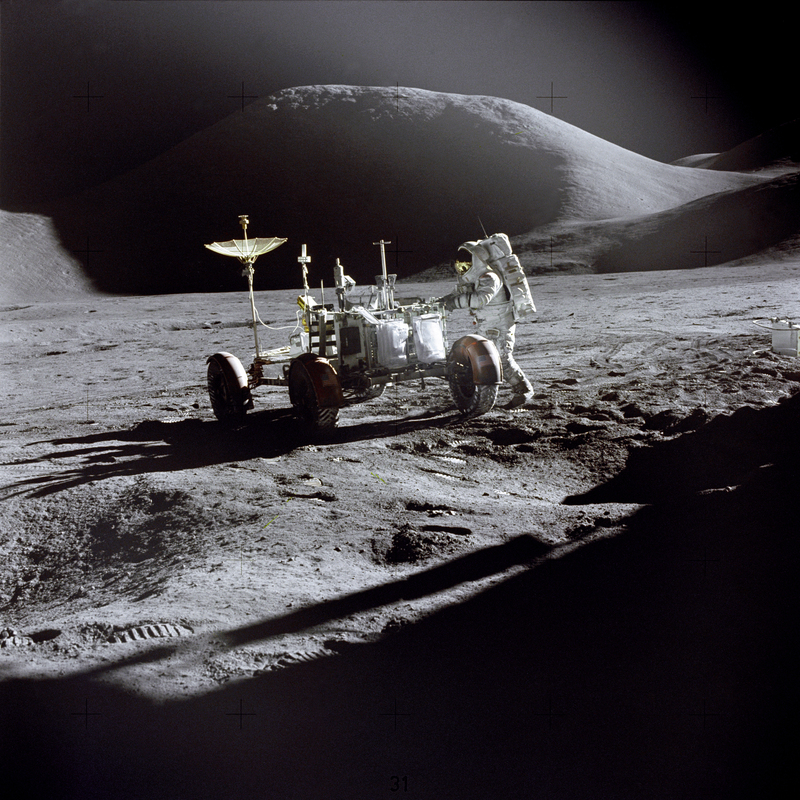 Lunar module pilot James Irwin works at the Lunar Roving Vehicle during the first Apollo 15 lunar surface extravehicular activity at the Hadley-Apennine landing site. The shadow of the Lunar Module “Falcon” is in the foreground. This view is looking northeast, with Mount Hadley in the background. This photograph was taken by mission commander David Scott. Apollo 15 launched 35 years ago today on July 26, 1971, at 9:34 a.m. EDT from the Kennedy Space Center. Alfred Worden was the mission’s command module pilot. The full resolution view of the image can be found here. Next Next post: Happy Birthday, Mr. D&D!